*I'm a huge Mother Daughter Book Club fan. I already finished this. Loved it. *A re-read for me. Loved it even more the second time around. Great books! I've had Beautiful Creatures for a while now, it's a series that I've heard great things about. Great IMM! Virtuosity sounds really good. Hope you enjoy your new books! Great books. I really need to read Beautiful Creatures. I was tempted to get Virtuosity as well, but I can't bear to read another thing on my kindle. I'll wait for the book to come out. I still need to read the Beautiful Darkness series. I want to read the Beautiful Darkness series! I haven't yet. I have to agree that all titles look really interesting. Home for the Holidays sounds exactly like my kind of thing. Looking forward to your reviews of the books. Seeing quite a few Virtuosity! Hope you enjoy it and your other book! Happy Reading! I read Iron Knight yesterday and love it, too. I need to read Virtuosity soon as well. Looks like you had a good week. Old follower. Just hopping through. I'm excited about Virtuosity. I'm hoping I can get around to reading it soon! The Mother-Daughter Book Club book looks so cute! I hadn't heard of the series before I'd seen this one in GG, but I'm definitely going to have to check them out. I'm looking forward to starting Virtuosity. Happy reading! Can't wait you see what you think of it! I have to finish Beautiful Darkness soon--love that opening chapter, but I was intimidated by the page count so it's on hold right now. I hope you enjoy both reads! And thanks for stopping by the blog earlier! I haven't read any of the Mother Daughter Book Club, but the series looks like something I would enjoy! Have a great weekend! Looking forward to reading Virtuosity, and I loved Beautiful Darkness! I kind of want to re-read it now too. Happy reading :). Nice set. I love the cover of Virtuosity. Libraries are awesome. I think of them as extensions of my own bookshelves and I particularly like the thought of them "holding on" to an old favorite that I love rereading over and over. home for the holidays! i'm jealous! I had to add Virtuosity to my to-read list & the cover is pretty.. I bought Beautiful Darkness awhile back. I'm just waiting for it to go up my reading stash. :D Happy Reading! I haven't read Beautiful Darkness yet. I loved Beautiful Creatures, so I am looking forward to this one. I received a Virtuosity a few weeks ago, I'm looking forward to reading it. 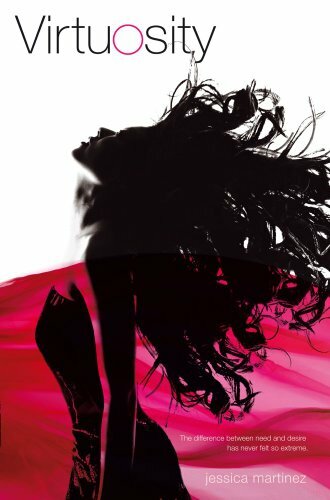 Ooo, I really want to read Beautiful Creatures! Virtuosity seems pretty good. Happy reading! I really enjoyed Virtuosity. I'm a sucker for books that revolve around music. I really like the Caster Chronicles too. That reminds me that I need to read the short story before Beautiful Chaos comes out. I like the sound of the Mother Daughter Book Club series. I haven't read them yet but I should give them a try! Ooooh I hope you enjoy Virtuosity! I *loved* that book! Hooray for Ethan! Beware this book has a lot of downs! Enjjoy all of your books! I have been wanting to read the Mother Daughter Book Club series! Happy Reading! I've heard so many amazing things about Virtuosity, luck you! Beautiful Darkness is a great book!! You will love it. Thanks for visiting me and following!! I truely appreciate and get so giddy when I get a comment!! I'm following you too now!! Have a great READ week!! I'm looking forward to reading Virtuosity. Hope you enjoy it! Thanks for stopping by, Alison! I've heard great things about Virtuosity and it's sitting patiently on my shelves waiting to be read. Hope you enjoy! Gosh beautiful creatures and beautiful darkness are sitting there waiting to be read. But beautiful creatures is so big and intimidating... what if I don't like it... Maybe I'll be inspired by the fact that you're re-reading beautiful darkness... Hope you enjoy your bookies. I still havent read beautiful darkness yet. I need to dig into this book. Enjoy it. 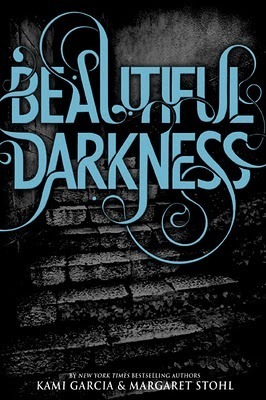 I LOVE the cover for Beautiful Darkness! Actually, all the books in the series has a beautiful cover. Cool books! I saw a different cover for Virtuosity on someone else's blog, sort of like the cover to the Iron Witch. Book look cool I guess. :) Happy reading! Good idea rereading Beautiful Darkness before Chaos comes out! They are such complex stories, I doubt I will remember everything that happened in the last one! I keep meaning to get hold of Beautiful Darkness as I loved Beautiful Creatures. I think I may have to reread the first one too! Amazing books, but man is there a lot of story there. I hadn't heard of the Mother Daughter Book Club before, but it sounds fun. And I'm looking forward to your thoughts on Virtuosity! Looks good. And thanks for visiting my mailbox too! i'm really considering giving the Caster Chronicles series another try...i look forward to your review! love, love Beautiful Darkness! hopping back :0 thanks, Alison! I need to read Beautiful Darkness! 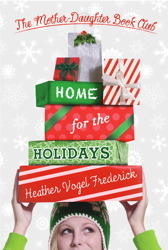 Home for the Holidays looks so cute! Ah! I've got some catching up to do with the Mother-Daughter Book Club! Two down, soon three to go!